As featured on BBC6music, BBC Introducing, BBC local radio, Radio Reverb, Latest TV, and (once!) Radio 1. 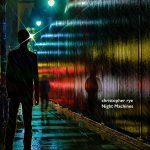 Under the pseudonym ‘christopher rye‘, Chris is a songwriter, rock session guitarist, multi-instrumentalist, and freelance producer working with up-and-coming artists in Brighton. Chris has been in and out of recording studios since his 20s, when he was a guitarist on the books of Simon Napier-Bell’s Nomis Complex agency. 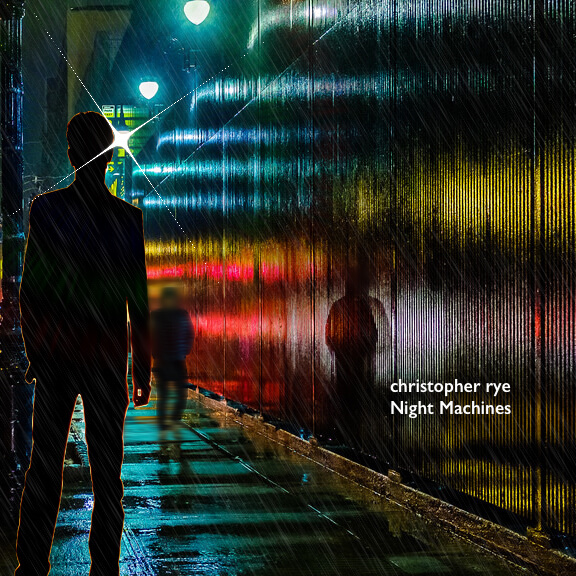 For more details, scroll down beneath this playlist of tracks from his new album, ‘Night Machines’. 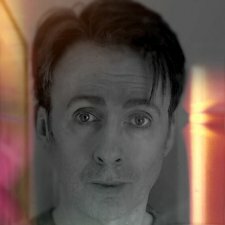 Several christopher rye songs have received multiple airplays on BBC 6Music, with the support of presenter Tom Robinson, and on other radio stations (including once on Radio 1). On 6Music, Tom described Chris’ track ‘Rainy Night Sunday’ as “a classic”, and “a favourite of this show”, giving it 10 out of 10. He played it several times on air, comparing it to The Blue Nile. He had high praise for ‘Big Sky! Keep Turning’, too, which he also played on air. Chris’ song ‘I Tell the Moon’ also received national airplay, while Chris’ 2017 track ‘Beat-up Car’ was featured on BBC Introducing. Also in 2017, the video for Chris’ track ‘Splinter Cell’ was given heavy rotation on the Latest TV channel, and album opener ‘Et tu, Babe?’ received radio play in Brighton and Sussex. Chris is an accomplished rock guitarist – in the atmospheric style of his guitar idols David Gilmour, Phil Manzanera, John Martyn, and Robin Guthrie. He is in demand for studio sessions, and is currently playing with a number of Brighton bands – including brand new outfit Space Angel, which Chris fronts as co-singer and lead guitarist. Under his real name, Chris Middleton, he is the author of two illustrated ‘how to’ books on digital music-making and recording, published worldwide in several languages: ‘The Complete Guide to Digital Audio’ (2004, Ilex Press, and others worldwide), and ‘Creating Digital Music and Sound’ (2006, Rotovision, Focal Press, and others worldwide). In them, Chris interviewed a number of successful musicians (including Peter Gabriel), producers and engineers (at Abbey Road and Real World Studios), remixers (including Hakan Lidbo), technologists (including BAFTA-winning app maker Tim Cole), and Oscar-nominated sound editor/designer Kant Pan. Chris has trained as a mentor with foundation learning centre DV8 Sussex in Brighton, where he worked with upcoming singer/songwriter, Marie White.